Twenty-three years ago, on October 19, 1986, the sun quite suddenly set at noon. 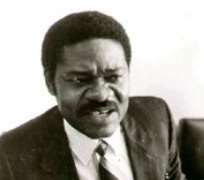 In the brutal darkness, we lost Dele Giwa, just two short years after he and I, along with two other professional journalists, launched Nigeria's first newsmagazine, Newswatch. Dele was home on Talabi Street, Ikeja, Lagos, about to eat a meal with our London bureau chief Kayode Soyinka when his son, Billy, brought in a large brown envelope addressed to him and carrying what seemed to be the official government seal. Two men in a Peugeot had delivered the parcel to Dele's home. As Dele attempted to open the parcel, which he believed had come from the office of the Nigerian president, Gen. Ibrahim Babangida, it blew up. It was a parcel bomb. Dele's lower half was almost severed from his body. Investigations by Dele's lawyer, the late Chief Gani Fawehinmi, the lone campaigner for justice in the case, revealed that a security agent, Lt. Col Ajibola Kunle Togun, interrogated Dele two days before, and had falsely accused him of gun-running and planning to destabilize the government. Dele was so disturbed by the allegations that he called Col. Haliru Akilu, director of military intelligence, to complain. According to the investigations, the same Akilu called Giwa's wife to ask for directions to the house on the eve of his murder. The government announced that a judicial commission of inquiry would be set up, but in the end the commission never came to be. We passed every tip we received to the police and we repeatedly sought information about their investigations but at no time did they inform us of any breakthrough. We brought the case before Nigeria's Human Rights Violations Investigations Commission, but Babaginda and the security agents involved in Giwa's interrogation refused to testify. Dele's killers are probably walking the streets as free men but, we hope, with a throbbing conscience. The murder cast a chill on the journalistic odyssey that Dele, Ray Ekpu, Yakubu Mohammed and I set out on as publishers of a pioneering newsmagazine whose circulation peaked at 150,000. The four of us had made names individually as editors and columnists of national dailies and weeklies and Newswatch became the first publication born out of the partnership of journalists in the country's history. Dele was part of the driving force in meeting the challenges and the bar we set for ourselves. His mantra: Newswatch is all we have; we must give it all we have got. We had no choice but to press on despite the odds. Newswatch was banned for six months in 1987 by the Babangida administration for the grave offense of doing what all good and serious publications must do—put the interests of the public and the nation above the narrow interests of the few men in the corridors of power. The magazine's offense was that it had violated the Official Secrets Act by running stories revealing the recommendations of a presidential commission devising a unique political system for the country. At the time of the publication, there was no law forbidding the press from publishing a public document even if that document had not been officially released to the public. Three times the editors of the magazine were detained. Each time that we were tempted to wallow in self-pity and despair, we remembered Dele's mantra: Newswatch is all we have; we must give it all we have got. In its first quarter century, Newswatch has become the most decorated publication in Nigeria, having won more than 90 professional awards locally and internationally. And the best credit to Dele's legacy is that the magazine is today a journalistic institution in Nigeria. We are soldiering on, in our own way, expanding the frontiers of press freedom even as we bear the burden of official intolerance and the fickleness of the Nigerian public. What we've given to the magazine is our sweat. What Dele gave to it was his life.